Sending money to the Philippines is difficult at times. It can also be costly. 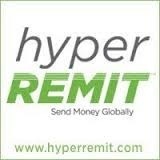 I have found that one of the most efficient ways to transfer money is through an agency called HyperREMIT. The cost is a mere 6 CAD to sent money to a bank account and 8 CAD to send it to the door to door. This agency is fast, efficient, professional, and reliable. You can also transfer money directly from your bank account to your account in HyperREMIT. It does, however, take a few days – 3 to 4. After the money is in your account, you can send it to the party of your choice. This will take a day or two. The door to door may take an extra day. HyperREMIT is a great service, and I highly recommend them.